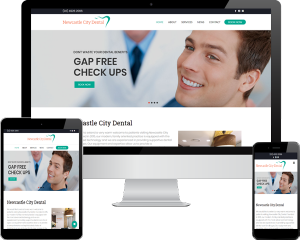 When it comes to your business website, generating the highest number of online enquiries is paramount. Your website can either be a powerful sales tool or something that deters your potential customers for doing business. This article will provide business website tips, so you can stand out from your competitors and capture your customers attention. This article is broken into two sections; your business website and attracting customers to your business website. There are a number of things that can make dramatically improve the performance of your website. With more people relying on the internet to find businesses, it is important to appease to their needs. Although these business website tips may seem basic, as a web design agency, it never ceases to amaze us how often a businesses website is neglected. This one is pretty self-explanatory; your site needs to be mobile and device friendly. This means it needs to work on all screen sizes and it’s recommended that you use a responsive design. 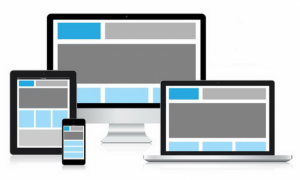 A responsive design will automatically adjust the layout to fit the size of the screen it is being displayed on. A mobile friendly design will dramatically improve the user experience of your site. A recent study found that 48% of consumers start mobile research with a search engine –but 33% go directly to the site they want. What this means is almost half the research conducted is from a smart phone, yet only 33% of people end up visiting the site they intended visiting. This is likely due to having a none responsive design. A slow loading time is the best way to get your online visitors to leave your site. It is found that a page that takes more than 7 seconds to load will loss more than 50% of it visitors. In many situations your website can look professional, rank web in Google get a lot of traffic, only to have people abandon the site because they become impatient waiting for it to load. This is a very common problem for business web pages, but one that can be fixed relatively easily. Often the main cause of slow loading page is images that haven’t been compressed before they have been loaded onto the site. If you have had a professional photographer take photos for your business, they will often give you high resolution photos. These high-resolution photos can be more than 5mb. When you start adding a few of these to your website it will dramatically slow the website down. Optimising your photos for web can decrease to the size of the photo to around 120kb without losing picture quality. Colour Palette: A colour palette is a section of colours they look good together. Generally, a colour palette will consist of the colours used on your logo/marketing material. We use a colour palette generator with our clients to help find colours that work well together. Image Selection: Images really can make or break a website. Professional photography is a must to make your website look professional. It is important to hire a professional photographer to take a few photos of your facilities, your staff and your products. For those that can’t afford a professional photographer, you can always use stock images when necessary. Fonts: Selecting the right fonts is an important part of creating the image for your business that you want. When choosing a font, it is important to use one that is like your business logo. A professional website design will be able to match the right style of font for your needs. Another key business website tips are making your site easy to navigate. Chances are you have visited a page, not been able to find what you’re looking for, left the site and visited another one. One of the biggest problems with site navigation is, business owners don’t know their site is hard to navigate. Generally, a business owner will know where everything is on their website, so they are unaware people can’t find what they are looking for. Your navigation needs to categorise your products and services, so people can find them easily. Sticky menus (menus that stay on the top of the page) are also great as people can find where they want to go at any time. Side menus are another great option to make it easy to navigate. With all this being said the information you place on your website is going to be a big factor in attracting potential customer. It is important that your website is informative and explains exactly who it is you do. It should contain information about your company, the clients you have worked with, testimonials and detailed descriptions of all the products and services you provide. People generally wont contact a business if they don’t think they offer the service they are after, therefore it is import that you keep this information up to date on your website. Free Online Quote Form: A free quote is a great way to get a customer to contact your business. Online Booking Form: An online booking form makes it easy to set an appointment with your business especially if they are visiting your site outside of trading hours. Email Opt-ins: email opt-ins allow visitors to keep up to date with news from your business. Generally, people use email opt-ins for monthly newsletters and blogs. Lead Magnets: A lead magnet is a way to get a potential customer details by offering something of value. For example, you could offer a free downloadable guide, or a strategy call. The other side of the spectrum is getting potential customers to visitor your website. Our biggest business website tips are to focus on your website and getting people to visit it. We will take you through the best ways to get more traffic. Search engines such as Google are a great way to get potential customer to visit your page. Getting found on search engines though can sometimes be difficult as there is a lot of competition for the top place. Search engine optimisation (SEO) is the practice of on-page and off-page page tactics that will improve your ranking for the keywords of your choice. On-Page SEO refers to making changes to the actual website in order to help search engines understand what its about. Off-page SEO refers to things that are on other people’s websites that improve your website ranking. To find out more about SEO read this article. Search engine marketing is paying search engine to get tot the top of the search results for your desired search phrase. Google offer Google AdWords which allows businesses to bid for the top place in the search engine results. Google AdWords is considered one of the most effect forms of advertising in the world as you only have to pay if someone clicks you ad. This means your only paying for people that are seriously considering using your product or service. Click to learn more about search engine marketing and Google AdWords. Social media has cemented itself as a key factor in the way we find products and services. Social media can be used for both paid advertising or free communication with clients. 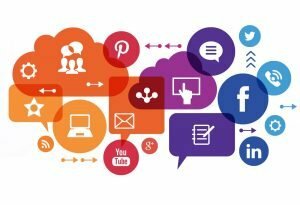 Different forms of social media work best for different business. Facebook: Facebook is a necessity for every business, from doctors to accountants. It doesn’t matter what you sell, you need a Facebook. However, for businesses that operate business to consumer Facebook is particularly important. For example, restaurants, real estate agencies, builders, electrician etc. need to be active on Facebook. Instagram: Instagram works particularly well if you sell a product. Due to Instagram’s hashtags it is easy for consumers to find what you have to offer. YouTube: YouTube can be great if your business sells to a worldwide audience. The ability to show of your products and services through video is an important part of sharing your message with your consumers. Businesses also pay YouTubers with large followings to promote their products or services. LinkedIn: LinkedIn is the best platform if you offer professional services. This generally works great for businesses that operate in B2B. LinkedIn allows you to find and connect with potential clients as well as share your message. These are just a basic overview of some business website tips we believe to be critical for your success online. As a rule of thumb you need a combination of a professional designed website and strategies to get potential customers to your page. If you have any questions about these business website tips or need help implementing anything, please don’t hesitate to contact us. Thanks for reading and please let us know if you have any success with these business website tips.